I admit, I have a soft-spot when it comes to slice of life stories that feel very grounded, has a lot of life lessons in it, and really uses the entire show to explore how our main characters grew throughout the show, even though it may get emotional at some point. That’s the reason I loved “Miss Hammurabi”, and in the same vein, this is what I loved about “Your House Helper”. “Your House Helper” was a wonderful warm cup of tea in this year’s slate of Korean dramas with good performances and life lessons all wrapped up in a show that also makes you want to clean and organize your own houses right after. “Your House Helper” aired on KBS2 on Wednesdays and Thursdays from July 4 to August 30, 2018, and ran for 32 half hour episodes. It was based on a web comic by Seung Jung Yeon, was directed by Jeon Woo Seong and Lim Se Joon, with a screenplay by Kim Ji Seon. 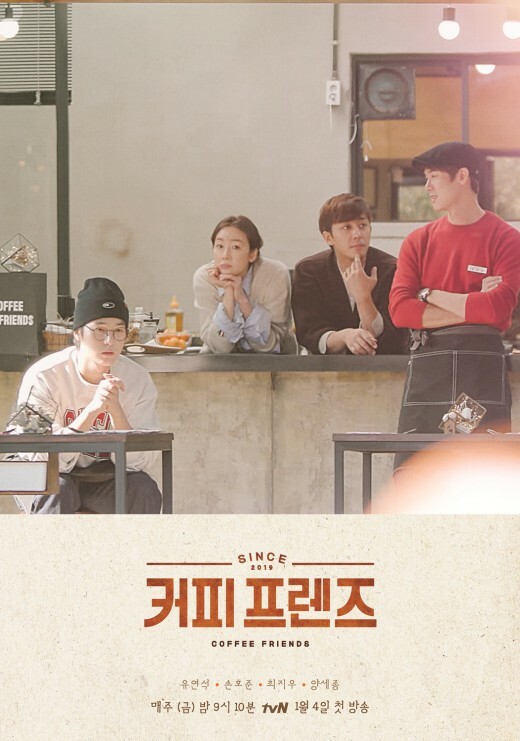 The drama follows Kim Ji Woon (Ha Seok Jin), a professional housekeeper or house helper, who comes into the lives of Im Da Young (Bona), Yoon Sang A (Ko Won Hee), Han So Mi (Seo Eun Ah), and Kang Hye Joo (Jeon Soo Jin). The rest of the drama focuses on the relationships of these people, their everyday lives, and the growth that happens within them thanks to new and old relationships, as well as Ji Woon’s help as it turns out that arranging and organizing your house not just affects the physical space, but the customer’s inner well-being as well. Also, sometimes, after the end credits of some episodes, Ji Woon gives out some interesting and practical tips for viewers for their household chores. This charming little drama didn’t seem like much at first, but once our main characters start coming together, and we start delving into their individual characters and their journeys, all tied in together with the help that Ji Woon gives by being a wonderful “house helper”, it becomes a rich, soothing, warm cup of tea that is quite healing all the way until the end. One of the strengths of the show lies in its set of very relatable characters who are all going through things of their own, but still manage to have very healthy relationships with each other. The female comaraderie in this drama is a big strength, as these girls support each other through thick and thin, and are quite honest with each other throughout the show. The male friendships here are also something to watch out for as well. I cannot believe I really haven’t seen anything with Ha Seok Jin before, and I am looking forward to watching him in “Radiant Office” one of these days. His performance here was good and solid, and he was able to pull off a role with a job that is a little bit different for the norm, especially for his gender. I enjoyed watching Bona here, and I was pleasantly surprised to see Ko Won Hee in a very different role from her comedic aone in “Welcome to Waikiki”. I also loved all the journeys each character went through throughout the show, and I loved how each character had the support of their friends no matter what. I also loved that this show teaches us that with the right support system, and with enough time, people do change and find healing for the better, even though everyone goes at their own pace. “Your House Helper” is a wonderful slice of life drama that not only gives you great practical home making tips, but gives us good and solid performances, and relatable characters that you can grow with and learn from as the show goes by in the best “Chicken Soup for the Soul” way possible. From here on out, you know the drill! There will be spoilers beyond this point! This show is definitely more a character driven show, as the plot is driven by the characters, their pasts and what they are going through at this particular moment in their lives, and it is executed well as it doesn’t detract at all from the viewing experience. In a way, a drama that’s as healing as this is a welcome breath of fresh air as we don’t have to worry about any major villains or story complications at all. It just shows us life and its own particular set of complications, and how each character grows as an individual and with their relationship with others. As I mentioned earlier, I love the strong and healthy female friendships on the show, and it makes it even better as our three main ladies, Da Young, Sang Ah and So Mi were estranged high school best friends who ended up reuniting and rekindling their friendships with each other because of their own particular set of circumstances. I also love the fact that Hye Joo becomes a de facto member of the group as she was the one who brought them back together. I also love the character development that was present in the show, and the romantic relationships that evolved organically here as well. Da Young, during the course of the show, became a stronger person as she learned to stand up for herself and what she knew was right at work, and gained the courage to finally move on with regards to her father’s death. I also like how she became the pillar of comfort and support that Ji Woon needed, as he was hers. I also love that she found a wonderful mentor in Lee Min Young’s Ahn Hong Jin, who was able to teach her how to become the best she can be in their line of work, and believed in her no matter what. Ji Woon, although he helps others a lot, still needed some growing to do, and his growth was mostly tied into the fact that he couldn’t get over his ex-girlfriend, who saved him from committing suicide, and who disappeared on him five years ago. However, at the end of the drama, he was able to finally heal from these wounds, move on, and found a caring and comforting pillar of support in Da Young. I also liked how they treated their relationship with each other, especially when Da Young made the decision to give him his ex-girlfriend’s current address, and trusted him enough to make his own decisions for himself. Sang Ah had an interesting journey that was tied in to her relationship with her ex-boyfriend, whom she used to dog and house sit for, and her new and wonderful relationship with Atty. Kwon Jin Kook. She went from leading the usual double life most of us lead, one in which we try our best to fake it to keep our appearances, to learning how to have more confidence in herself while being more authentic. This also had a lot to do with Jin Kook, who is perfect in every sense of what society expects, but is a clueless adorable dork when it comes to love. He learned how to become flexible when it comes to plans, because sometimes the best things are spontaneous, and I just love that he’s perfect for Sang Ah. He adores her and doesn’t care if she’s wearing house clothes or not, and that made her realize that its okay to still doll up, but not to the point that she has to completely overhaul her look to go out. So Mi grew up the most over the course of the drama, and I love how she was the one who actively made the decision to get over her past trauma, and in doing so, she realized that in the end, she didn’t have to get made or confront the person who did give her that trauma because it turns out that that person had been going through something too. That made her realize that while what that person did was still wrong, that person wasn’t as scary as she once thought. So from being someone who couldn’t speak her mind to strangers and men, she became confident enough to be able to ride the bus on her own, and engage in activities that she finds happiness in that she wouldn’t have done before. Her relationship with Park Ga Ram (Yeon Joon Suk) was key to this as he was the one who guided her through it. Hye Joo’s predicament was interesting as well, because she over complicated her relationship with Bang Chul Soo (Lee Do Kyum) because of her unrequited feelings for him, which she was pressuring herself not to have. Once she opened up to him, they ended up having an even stronger friendship than before. I also found it interesting that all the men in Go Cafe were all tied to Ji Woon’s ex-girlfriend in a way, and I found it interesting that she returned not as antagonist, but to help and support Go Tae Soo (Jo Hee Bong) get through his cancer treatments as he had supported her in the past. All of the performances were good and solid, and I had no problems at all with the execution, with, perhaps the fact that the guy who sexually harassed Da Young, after being dealt properly with, ended up having a real crush on Da Young. All in all, as mentioned earlier, this character driven drama was a warm, healing, rich cup of tea that I’d recommend if you are looking for a light watch with solid performances, interesting life hacks, and life lessons. Have you seen “Your House Helper”? What did you think of it? Let me know what you think in the comments below!